Thanks to Woot.com for sponsoring this giveaway. 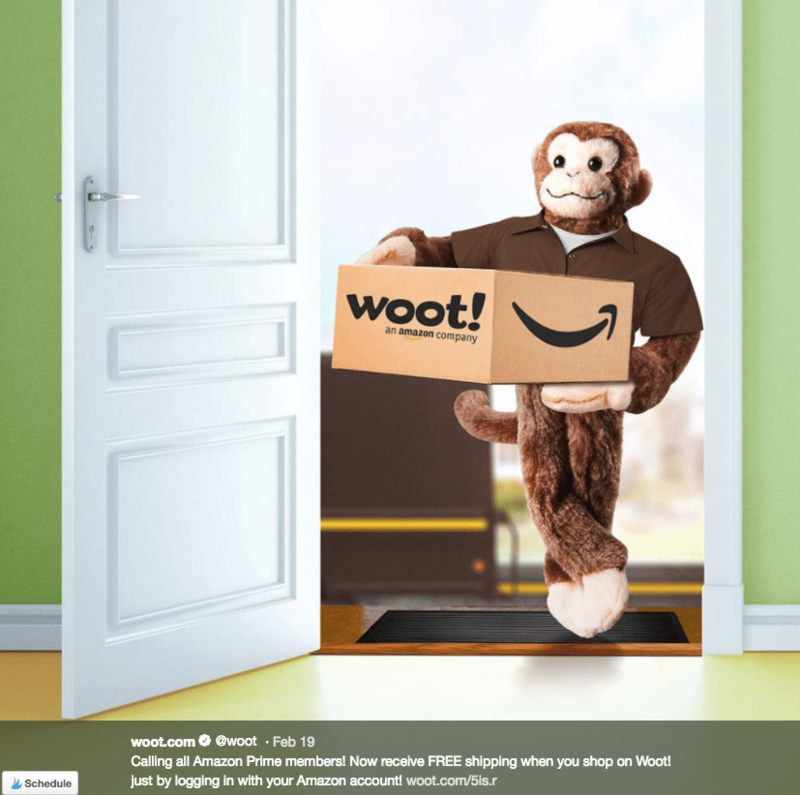 Woot.com, the original daily deals site that offers some of the ridiculous deals on the web, would now offer free shipping for Amazon Prime members! With crazy low prices on stuff you didn’t even know you needed (from refurbished tech gadgets to dining sets to athletic gear), Woot offers the chance for you to get the stuff you want for one day only or until the items sells out. Dedicated Wooters check back daily to see what awesomely amazing deal will be offered today. Woot! 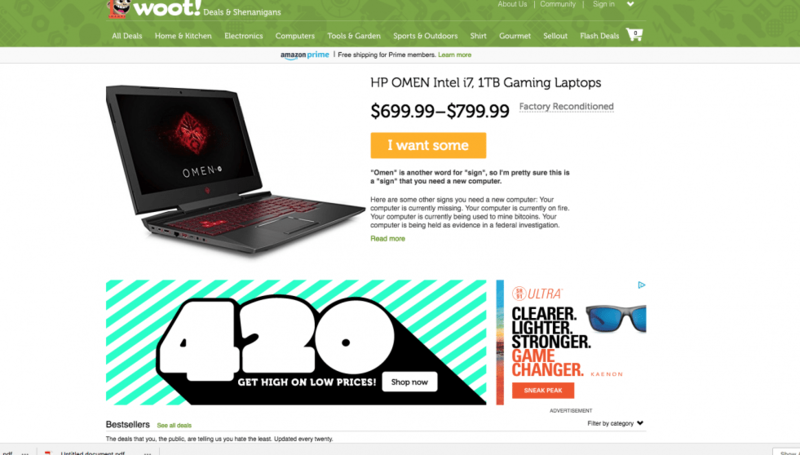 offers special daily deals and other limited-time offers across seven categories, including computers, electronics, home and sporting goods, plus original t-shirts, on Woot.com. All members need to do is log in to their Amazon account by going to woot.com/prime and you are all set. One of the unique offers from Woot! 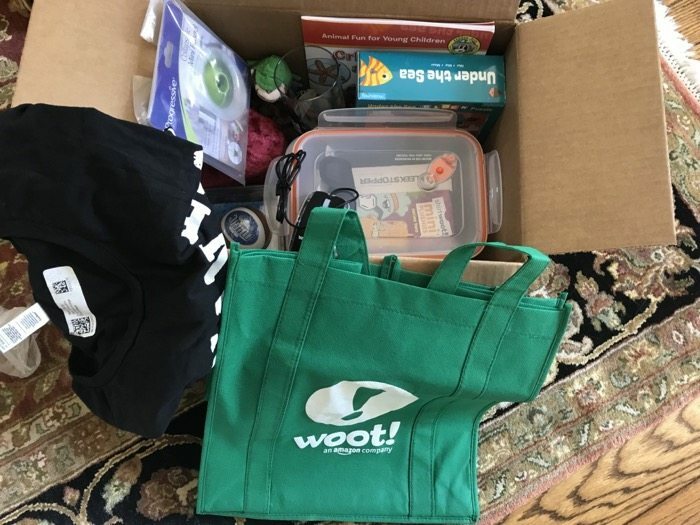 is their signature ‘Bags of Crap.’ Offered sporadically and at random, BOCs are a random collection of items from Woot!, ranging from batteries to a T-shirt to shoes. The beauty of a BOC – you’ll never know what you’ll get! WIN A Bag of Crap FOR YOURSELF!! Winner agrees to take a photo and send it to Close to Home to share with our audience. The daily deal is Nest IQ Smart Cameras. “CanaKit Raspberry Pi 3 Kits – Your Choice” is today’s daily deal! The daily deal is CanaKit Raspberry Pi 3 Kits – Your Choice. LG OLED55B7P 55″ OLED 4K 120 HZ TV $1,099.99 Screen Size 55″Condition Refurbished is todays!